The Bureau of Economic Analysis recently issued GDP numbers for 2012, along with revised data for previous years. First, let’s look at how Ohio is doing in relation to the other Midwest states. So Ohio has the 2nd largest economy in the Midwest, only behind Illinois and its Chicago powerhouse. Ohio has also reclaimed its spot as the 7th largest state economy after catching up to and surpassing New Jersey, which passed Ohio in 2006. Ohio’s more than half-trillion economy is also growing faster than almost every state in the Midwest, as shown below. So Ohio has increased its GDP lead over every Midwest state except for Illinois. Per-Capita GDP, however, is not Ohio’s strong point. Per-Capita GDP, does not tell us income, however. Ohio does slightly better here. The question would be, why is Ohio’s so low in comparison? It may have a bit to do with the overall cost of living, at least according to the following link. Ohio is less expensive to live in than 7 of the other Midwest states and is cheaper than 37 states in total. This almost certainly plays a role in wages. All in all, perhaps the state is far better off economically than the perception may indicate, at least by these metrics. 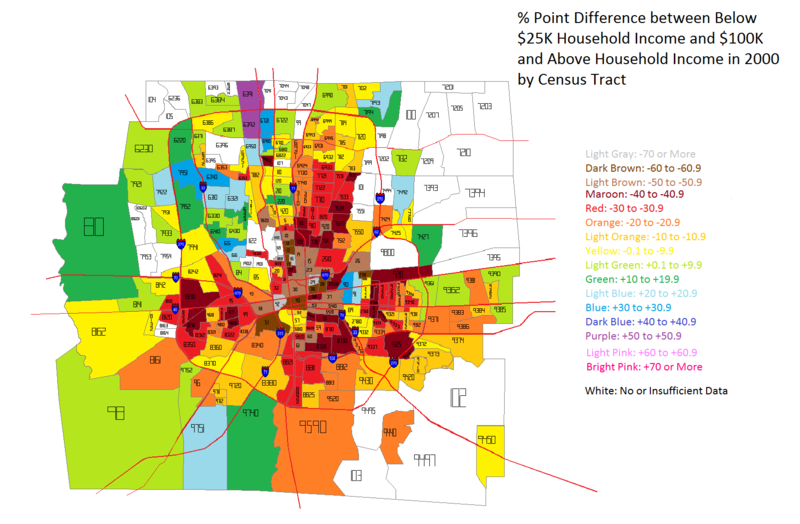 In Part 2, I’ll look at metro areas specifically. 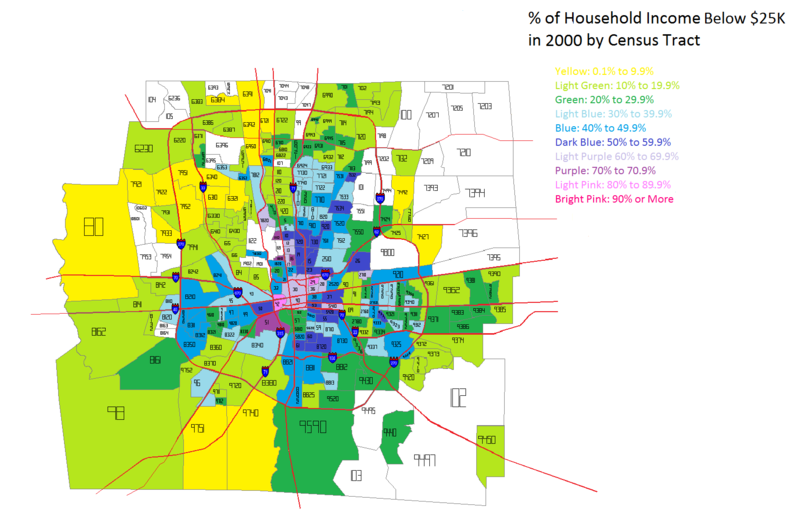 First, we have a map for the Columbus area that includes the % of of employees in a particular zip code from 2000-2010. 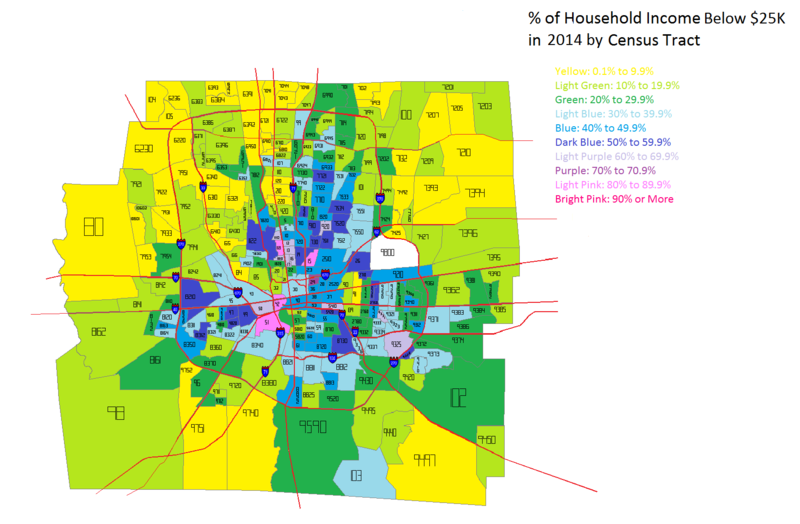 From this map, the urban areas of Columbus seem to have lost the most % of their employees the last decade, along with the far suburban and rural areas. 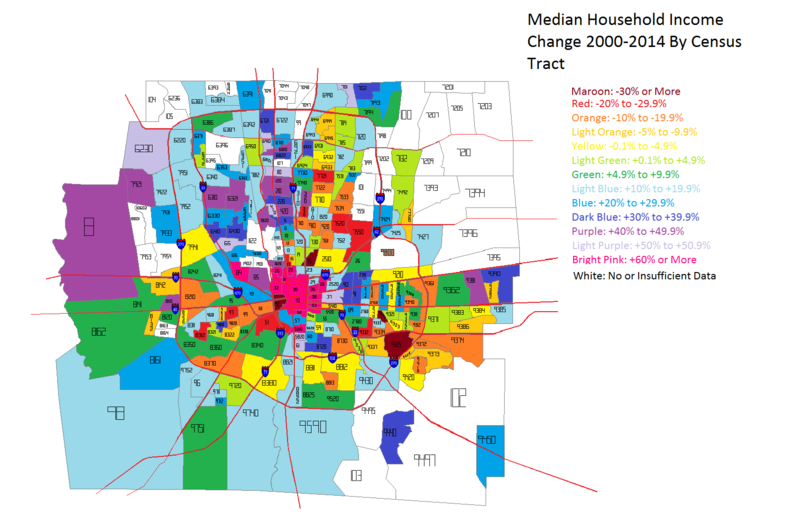 The biggest growth was in the areas along and just outside of 270. 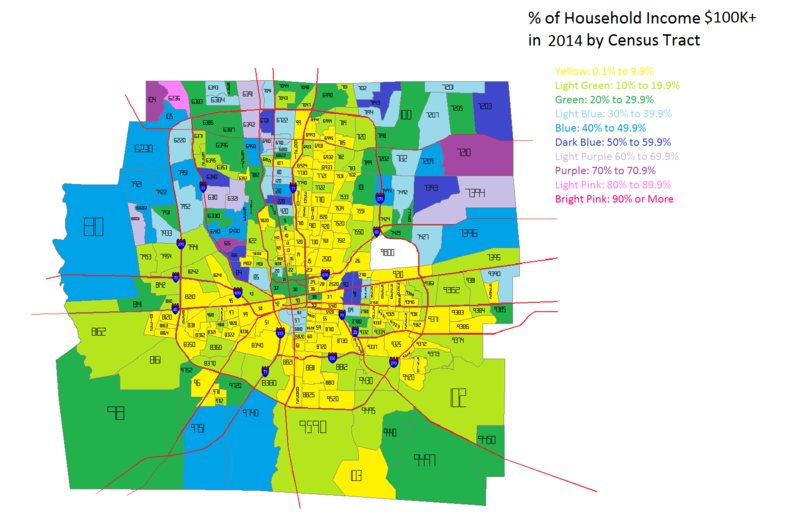 This is an interesting map as it implies that the nearest suburban areas are attracting the most jobs, but that these suburbs are are both pulling from the inner core, but also from much further out. 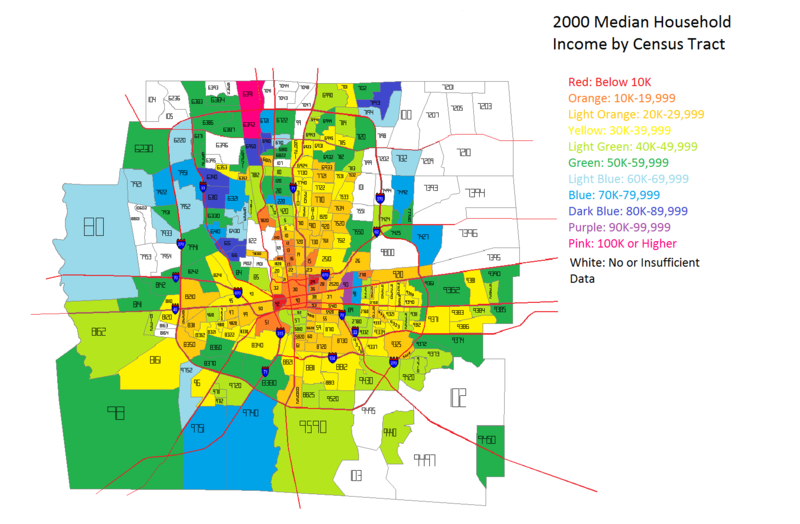 The second map is for average employee income by zip code. 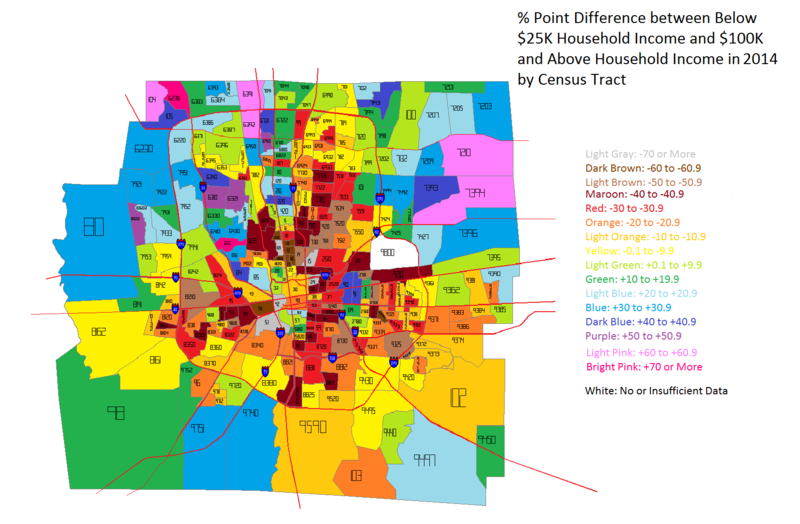 What this map seems to show is that, while jobs may be moving to the I-270 suburbs, pay for those jobs is decidedly mixed across the city. 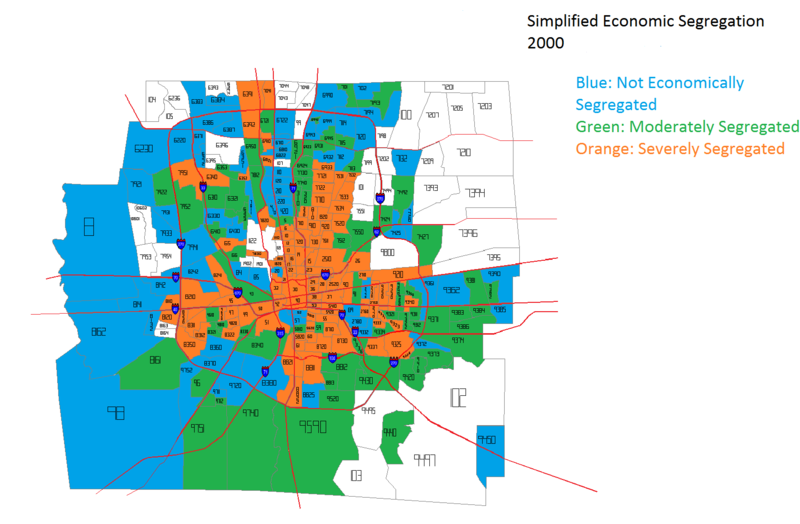 Downtown, for example, averaged some of the highest incomes in the city. Other strong areas include parts of Westerville, New Albany and Dublin. Most of the High Street corridor was fairly strong as well. 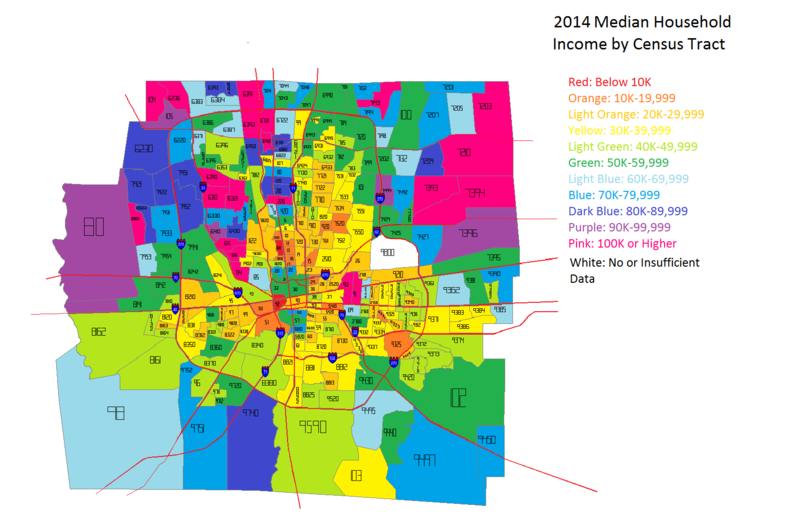 The lowest incomes were almost entirely in rural and far suburban areas. Finally, the % change of average income from 2000-2010. 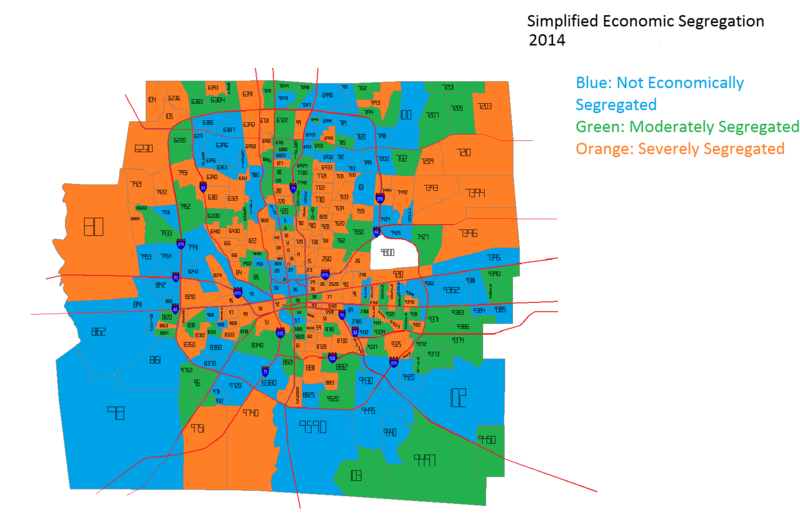 This map is also a mixed bag. 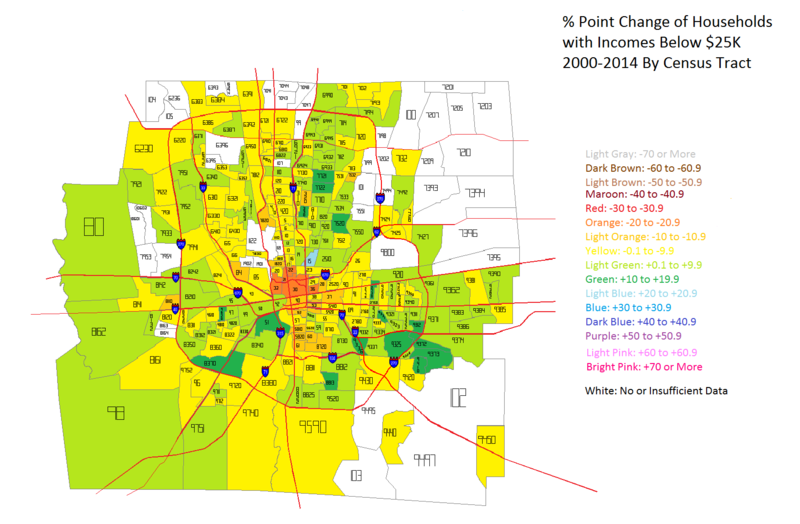 Most of the area saw wage growth, but where it occurred the strongest was definitely all over the map. 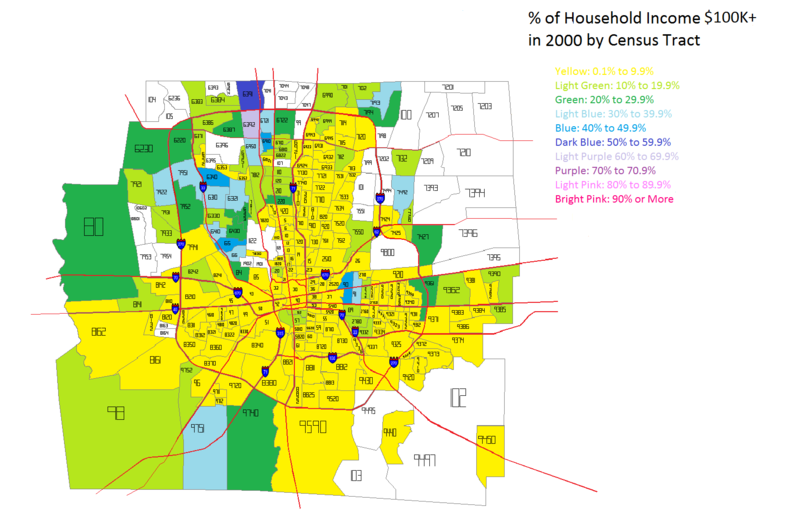 Some suburbs had good and bad, and so did the urban core areas. So what’s all this mean? Well, certainly it means that the total # of jobs as far as growth shifted to the 270 suburbs the last decade, but at the same time, those jobs that remained in the core areas still grew in income. So it appears that the city is becoming richer about on par with the suburbs, at least the last 10 years. The question becomes, what happens the next decade? 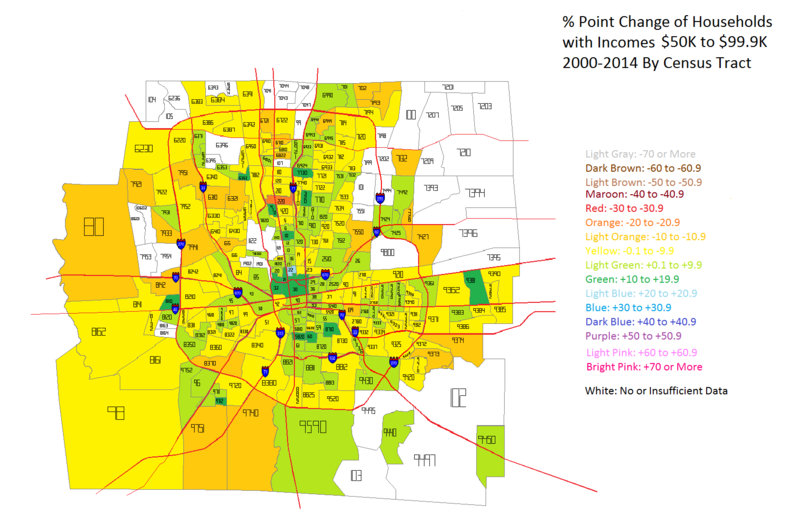 If urban trends continue the way they have the past few years (which these maps don’t really take into account), it is entirely possible that some of the job growth will move back inward towards the urban core.